Don’t let a tiny home crush your design dreams. There are so many interesting ways to put together a room, no matter how big or small. 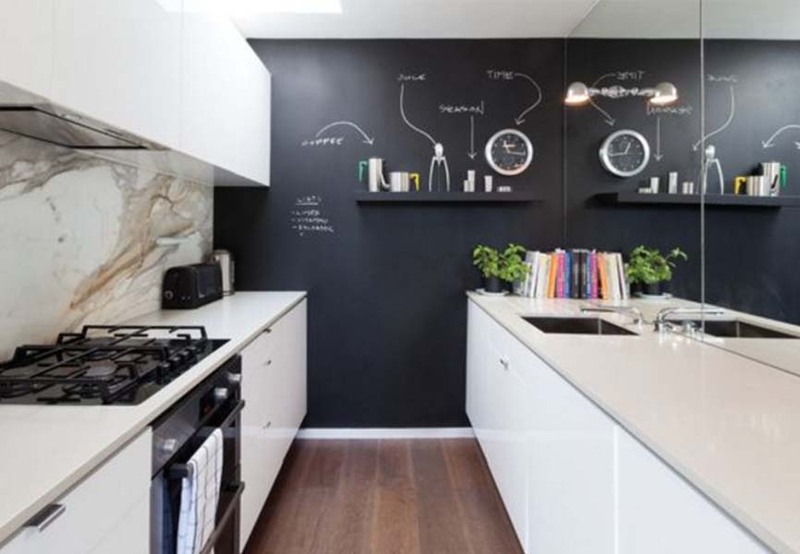 Here are some clever design hacks that will help you get the most out of your space. 1. Lighten up! Try to avoid dark colours in a small room and opt for light and bright instead. Think white, grey, aqua, soft pink and lavender. These colours will maximize natural light in the room and create an illusion of a bigger space. 2. Hang ‘em high. 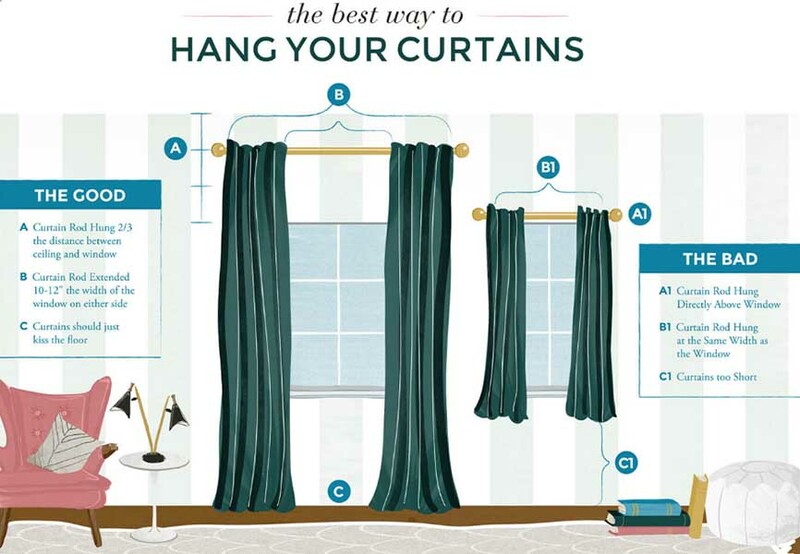 One of the easiest ways to open up a room is to hang your curtains high and wide. Take a look at this handy graphic below for a little guidance. 3. Three words: wall mounted desks. Don’t have the space for a home office? Problem solved. 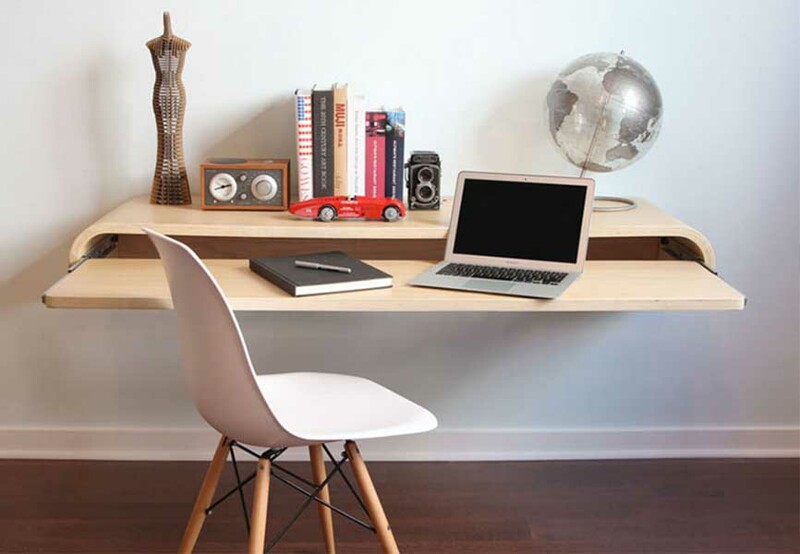 Wall mounted desks are a great solution and there are so many stylish options to choose from. Check out some of these examples. 4. Use a mirror to make a room seem bigger and add depth. 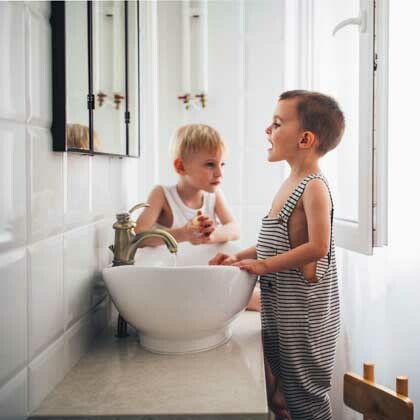 Mirrors are often used in traditional places throughout a home (like in a bathroom, bedroom or over the fire place), but they can do wonders by giving the illusion of more space in a room. You’ll find lots of great ideas from Houzz (and also likely get lost in hours of interior design inspiration!). 5. Carve out a dining nook. 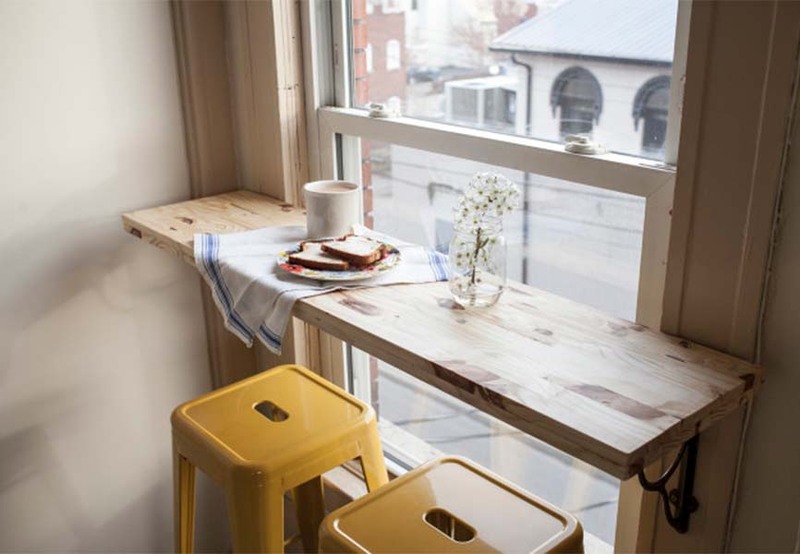 We love this solution for a tiny (or non-existent) dining space from Offbeat and Inspired. Perfect for a smaller home or rental apartment (just be sure to get the OK from your landlord first!). 6. Create some separation. 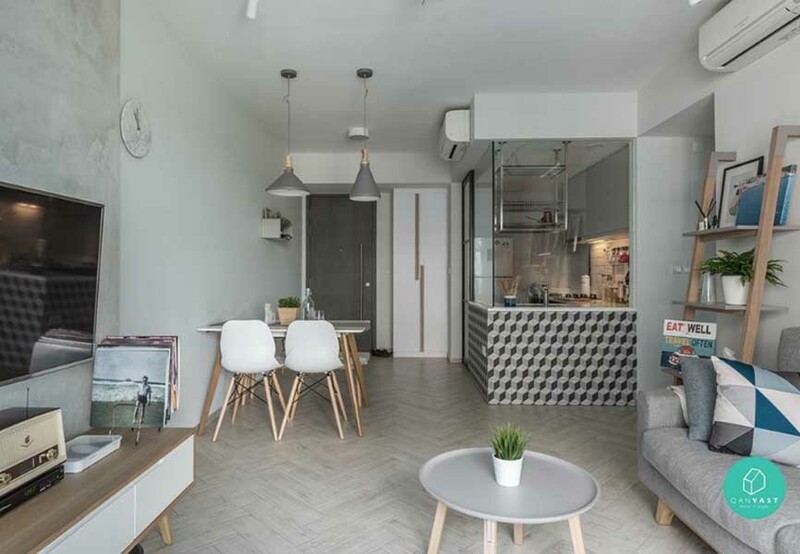 Living in a studio apartment can be challenging, but it doesn’t mean you have to make sacrifices when it comes to cool design. One of the best ways to add a bit of flair to your home is by incorporating a room divider. 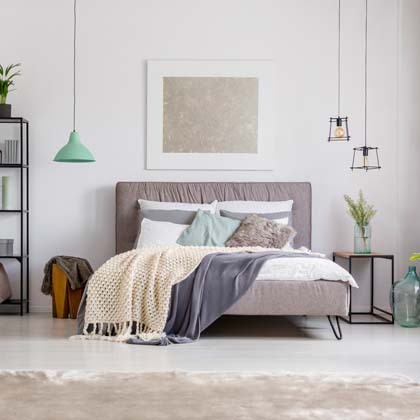 Whether it’s curtains or fabric panels, shelves or simply using a couch to separate your sleeping from your living space, there are lots of options to choose from. 7. Have fun with storage. 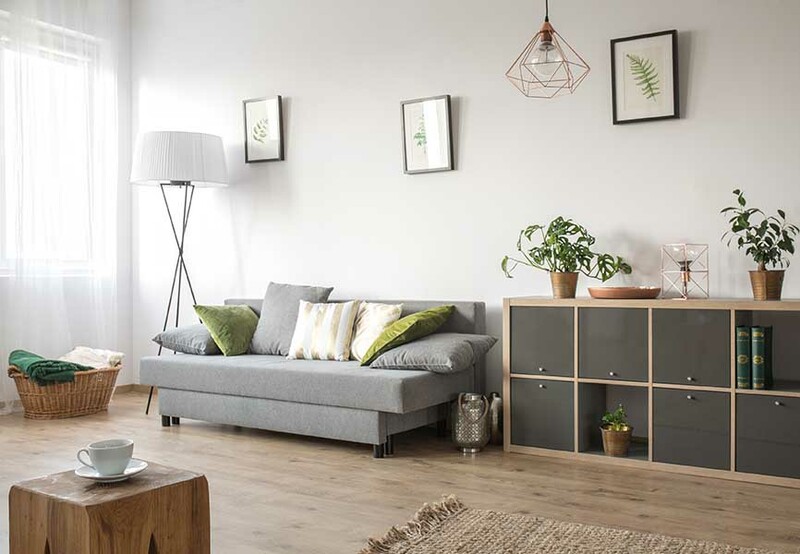 Add shelving wherever possible, use colourful bins to store trinkets or an ottoman in place of a coffee table – the possibilities are endless! And when all else fails… think IKEA. 8. Keep it minimal. Speaking of IKEA, why not take a page out of the Scandinavian style book? 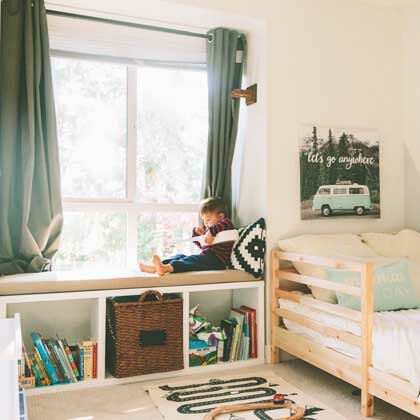 There are no shortage of ideas on how to give an otherwise small, cluttery space some balance – and breathing room. 9. When in doubt, add plants. 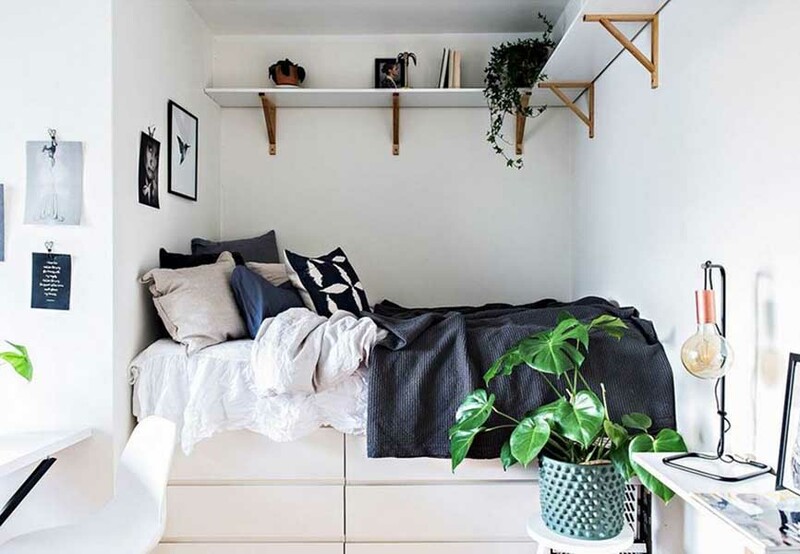 Adding a little greenery to your small space will not only add a fun pop of colour, it will help clean the air in your home. Win-win! 10. Smaller furniture with big impact. 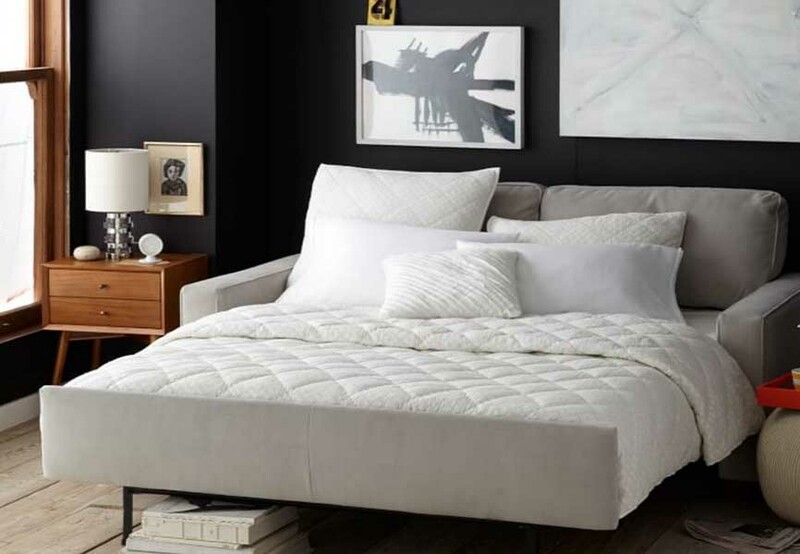 Consider shopping at furniture stores that cater to smaller scale furniture, like Crate & Barrel, West Elm, Structube and of course, IKEA. These places know what it’s all about!